In 1989 Ken Follett astonished the literary world with The Pillars of the Earth, a sweeping epic novel set in 12th-century England that centered on the building of a cathedral and the men, women, and children whose lives it changed forever. Critics were overwhelmed, and readers and listeners ever since have hoped for a sequel. At last, here it is. Although the two novels may be listened to in any order, World Without End takes place in the same town of Kingsbridge, two centuries after the townspeople finished building the exquisite Gothic cathedral that was at the heart of The Pillars of the Earth. The cathedral and the priory are again at the center of a web of love and hate, greed and pride, ambition and revenge. 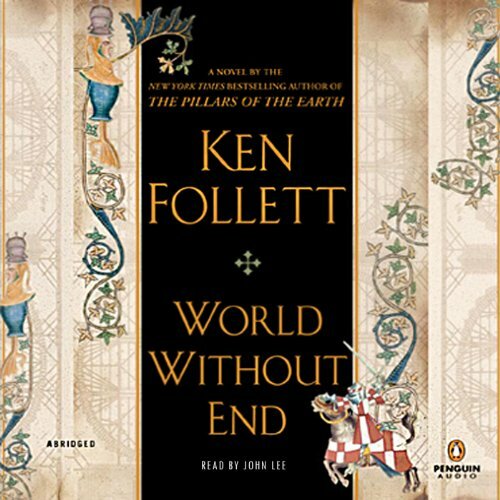 Three years in the writing, World Without End once again shows that Ken Follett is a masterful author writing at the top of his craft.